Persistent pooch? Hard-headed or hard of hearing? Now you can still keep them playing safely in the yard and nowhere else. 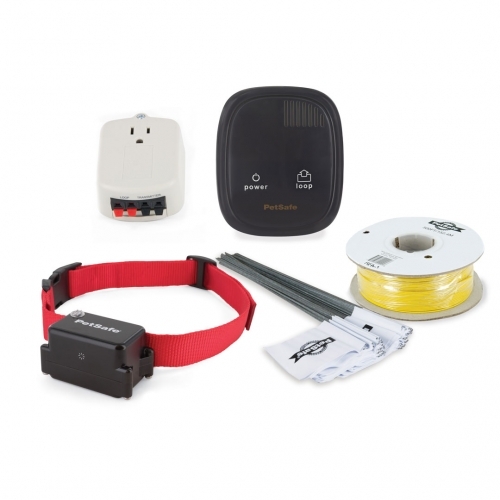 With 4 higher-intensity settings than our other collars, even dogs that are difficult to train respond well to the Stubborn Dog In-Ground Fence™ system. The safe, gentle static correction works so effectively that most dogs learn to stop in their tracks at the warning beep that precedes the correction. The vibration option is ideal for hearing-impaired dogs, or as an alternative to static correction.